My company, the International Franchise Professionals Group ( IFPG) works to connect hundreds of new franchisees with various franchises each year. We learn something new from each client we work with. This interview we wanted to dig deeper into the importance of talking to other franchisees in the franchise system you are interested in buying, as well as having trusted advisors to help you along the way. To help you understand the franchise investigation process and best questions to ask, we interviewed a franchisee who recently went through this process. Meet Anthony Gudrupis from Title Boxing Club. Q: Anthony, what got you into franchising and what is your background? From when I was attending college, I would study the people I would consider mentors, people that I thought were good leaders, as well as those that had good business acumen. I found myself picking up on the good traits that I emulated and could use to formulate my life's goals. I quickly realized a common theme, they all owned their own businesses. My background is finance and I really enjoy what I do, but I've always yearned for more out of my life. I had started to speak to business owners and most were telling me it was an all-or-nothing game. It wasn't until I looked in to a resale of a franchise that I started to give the franchise model a chance. A long time friend and mentor introduced me to an IFPG Consultant. This Franchise Consultant introduced me to certain franchises that would allow me to displace my flexibility into doing something that I enjoy and am good at while making a decent pay, as well as breaking in to owning my own business... I was getting the best of both worlds. I chose Title Boxing Club, and will open in Staten Island, NY. 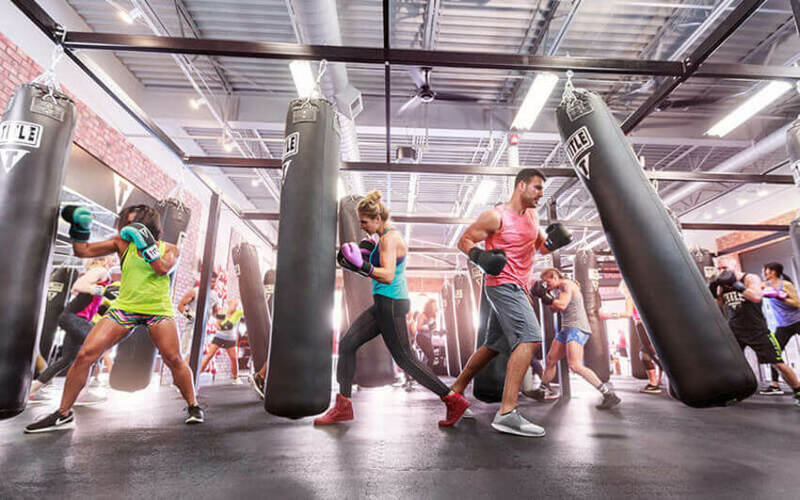 TBC is a boutique-style fitness concept that provides an intense workout, with a discipline in boxing. Their mantra of "being the best hour of someone's day" resonated with me given my high-stress corporate environment and being able to take out the stress on a bag, all while feeling a high-end experience. Plus it was all the benefits of a boxing workout without the contact. Q: What drew you to the fitness industry? My passion, and something that I would consider eventually owning, was unequivocally some form of fitness concept. This is an area of my life that I've been engrained into from a young kid. I was pretty much open to many concepts, few of which fit the model of what I was looking for. Fitness means more to me than going to a gym and working out. It means being in the one place that people go to take their stresses out, and connect with others doing the same. It means being involved with like-minded individuals and being part of that community. Plus, the benefits of fitness itself outweighs not doing anything fitness-related. Q: How many franchisees did you speak to before deciding that Title Boxing was the right fit, and what did you learn from this process? I spoke to 3 franchisees prior to working with Title Boxing Club. What I learned out of the process is not all franchisees are created equal. Some are involved more than others, some you'll find have better operations than others, and same may have more incentives than others. Lastly, and most importantly for me, I realized I had to find a franchise that I personally felt wanted me to succeed, because it is in the best interest of both parties to want more out of the relationship. As an aside, and this may come to a surprise to some folks, but the franchisor/franchisee relationship is not one that is automatic. They also have to feel the same level of confidence from you, in the sense that your investment with them will prove to be a healthy marriage. Q: How important was talking to other Title Boxing franchisees? What questions did you find most helpful during this process? This is a crucial step. This is where you get to speak to owners of the franchises themselves. The franchise will generally steer you in the direction of whom to call - If the receiving end of the phone are good they will give you the pros and cons of the business. I personally thought it showed a genuine feel for what the businesses I was looking in to could possibly look like one day and the difficulties in getting there. You want to ask a lot of questions during this phase and speak to as many franchisees as you can. At this stage, it is similar to starting a new job - You want to be a sponge and just soak up as much knowledge as possible. It will allow you to make a decision on whom you want to work with and whether or not the relationship will work out long term. Some of the questions I personally found helpful were around advertising, construction, working with the franchise and their operations. With regard to advertising, I was looking for strong branding, so what forms helped their individual clubs the most bring in new business? You'd be surprised how different the responses can be from one franchise to the next, let alone from one franchisee to the next in the same umbrella. With regard to construction, it is always good to know the hiccups the franchisees have dealt with throughout the process so you know what to look out for yourself. Lastly, around working with the franchise themselves. Again, this is a marriage - You need to know the experience from the owners of the units themselves and how amenable the franchisors are with working with them. Q: What kind of outside assistance did you seek? Did you use a lawyer or accountant to help make your final decision? From a personal side, I approached mentors and individuals I thought would be good to bounce the idea off of as well as get some feedback. I also think if you're involved in a marriage or serious relationship, that your significant other is also in this for the long haul because you'll be married to a business now too. From a professional side, aside from the IFPG Consultant, I was introduced to someone who could help with the financing aspect, so going through that process you can get creative with financing needs if you meet the right folks in the business. Additionally, I did speak with my attorney for both feedback as well as the documents surrounding the FDD before signing anything - You learn a lot if you have an attorney that specializes in franchising. My accountant is both a personal friend of mine as well as someone I trust. From the beginning stages of searching for a business, he was heavily involved from an advisory standpoint as well as assisting me on many other levels. One final note... I strongly advise you to find a network of professional individuals who have your best interests in mind. You will assist each other for the rest of your lives not out of necessity, but rather because you want to.